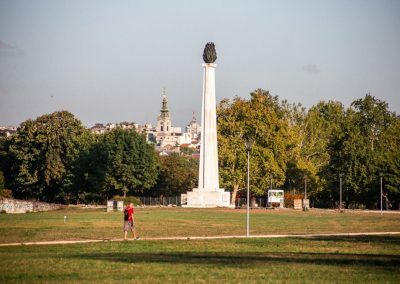 This park originated around a very interesting idea which was for every famous person who resides in Belgrade to plant a tree there as a symbol of their friendship with the city. Over the years many of the visiting officials and celebrities have planted trees in this park including Richard Nixon, Queen Elizabeth II, Indira Ghandi, Kim Il Sung (interestingly enough), Fidel Castro, Tito himself and many, many others, most recently the Rolling Stones band members who planted a tree here after their concert in Belgrade in 2008. This is also a popular place for hosting large events such as concerts and festivals. Traditionally Beer Fest is held here every year.